Excitement reaches the stars and the desire for everything to be perfect is impelling. Someone relies on high professional figures, like wedding planner, others prefer looking after the preparations by themselves. 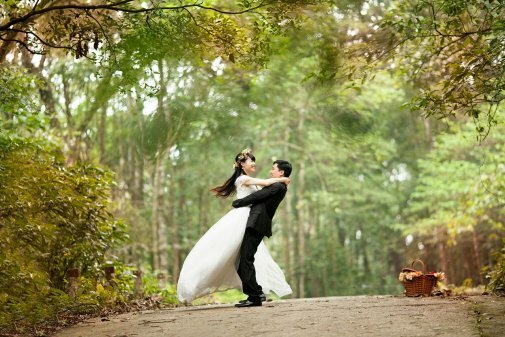 One thing is certain: in that day a man and a woman who love each other will become husband and wife! And everything else, at least for that moment, will take a second place! But let’s take a step back! All right, the proposal arrived, and what now? How do we organize a wedding? The first thing that you have to decide is the date! The second important point is what kind of ceremony will be performed: religious wedding or civil ceremony? As you have decided these important things, you need to take a very close look at the bureaucratic part, which could be long and laborious, especially if the wedding is performed outside the commune of residency. Meanwhile, as the bureaucratic procedures are being processed, the newlyweds can focus on the definitely more fun and pleasant part: choosing the perfect location! There are several solutions: castles, stately homes, restaurants, villas, historic buildings, and hotels and in the last few years beaches too. The choice is not, of course, an easy one; it must respects the tastes and personalities of the couple, and you need to consider the wedding-place accessibility for all the guests. Particularly in recent years, the Agriturismo, with its rustic and shabby chic style, has been preferred over hotels or restaurants more blazoned and elegant. Its simple nature and breathtaking landscapes, which usually surrounds it, not to mention the “zero-mile” food authenticity, had turned the holiday farm into an actual wedding location. Musignano, immersed in the green of Tuscany countryside, is the right place to entertain and have fun with friends and relatives. A magic and exclusive place with an amazing swimming pool, ideal for organizing refreshments or happy hours, thanks to unique decorative elements. The building, moreover, provides the guests with bedrooms and apartments, which could be rented for the reception. 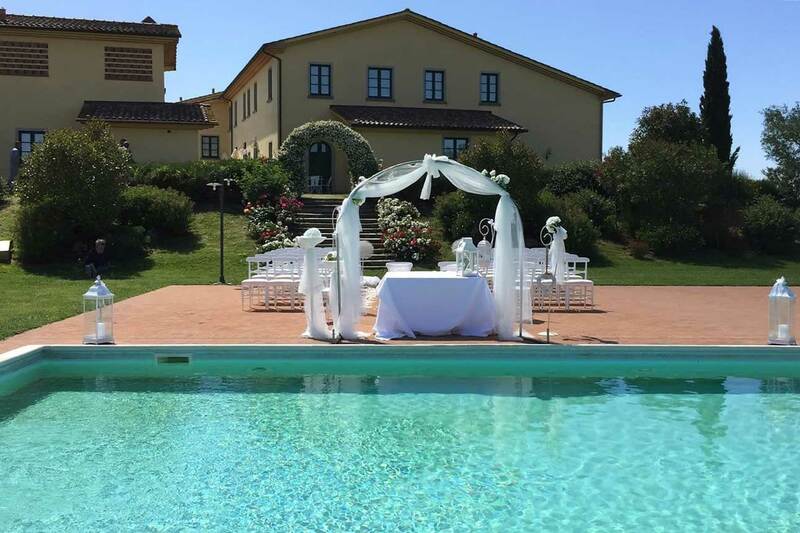 Civil weddings are possible too from Musignano! That’s because of the approval from the City Council of Cerreto Guidi, which nominated the holiday farm “Town Hall”. The reception, moreover, could be organized in the inner rooms, or in the area that surrounds the swimming pool, which will be equipped for the occasion with gazebos, arbors, and seats for the event. A very fascinating place, which needs to be carefully discovered. For this reason we recommend that you make an appointment by calling the number 0571/957220 Roberta will be happy to show you Musignano in all its glory. The wedding location is now decided! Are you ready for catapulting yourself into the choice of wedding favors, the band, the dress and many other little things? Well, the journey is still a long one!